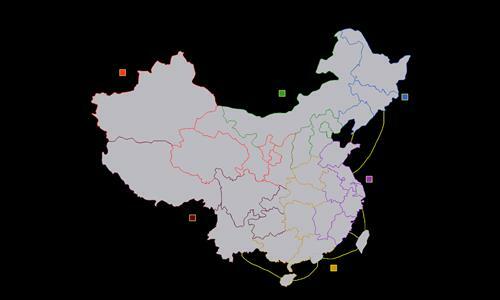 A map of China, with territories split into the provinces of the country. Review by nevanon on 10/21/2013. Missing the link between Gansu and Shaanxi. Review by Chinese Emperor on 8/27/2017. Review by Master B on 12/6/2017. Review by olo72 on 12/6/2017. Review by cheche on 2/27/2014.